Shane Watson returned as Rajasthan Royals skipper after missing his team's first four games due to a hip injury.Chennai Super Kings won the toss and Mahendra Singh Dhoni opted to bat after "Captain Cool" got it right at the toss. He had a bad World Cup but he has come back well in the couple of matches to make a statement. 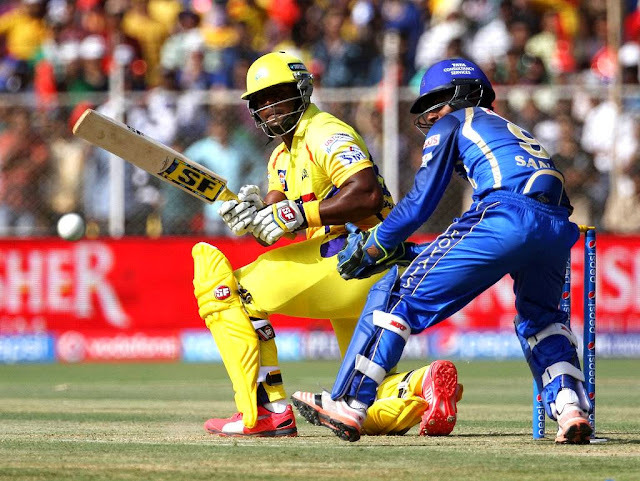 Dwayne Smith got CSK off to a brisk start before Rajasthan Royals struck back with quick wickets of Mcullum and Raina. At 43, he is still cent percent fit and doing wonders which even questions the technique of international stars. He dismissed the dangerous Brendon Mcullum to bring Royals back into the game. While Suresh Raina, was yet again dismissed on a short ball outside the off stump. He needs to improvise his technique. But, Dwayne Bravo, the West Indian all-rounder displayed a show of cheeky shots that set the tone for the Chennai Super Kings. He has not played international cricket for some time now which has allowed him to spend some quality time at the nets. 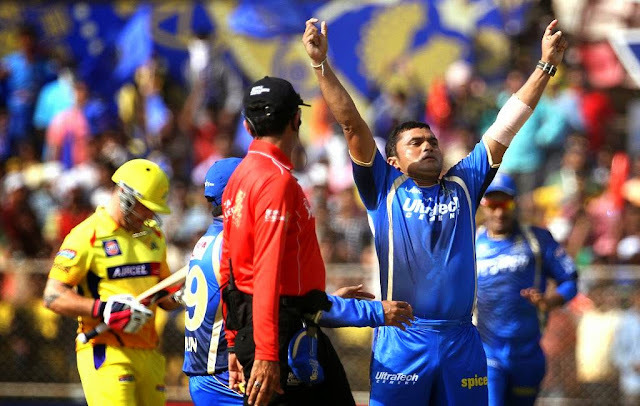 He scored a 29-ball fifty to propel CSK after a wobbly start. MS Dhoni and Dwayne Bravo shared an unbeaten 91-run fifth wicket stand to propel CSK to 156 after a total of 20 overs. However we did not witness the original Mahendra Singh Dhoni as he scored 31 off 37 balls, not good if we see it from a t20 perspective. This slow knock was a factor that played a part in them losing the match. Royals needed to bat well as 157 was a fairly achievable target, give the strong batting line-up of the Rajasthan set up with the likes of Watson, Rahane, Smith ,Karun Nair and Faulkner at the back end of the innings. Rahane started confidently after some good knocks in the previous matches. He is enjoying his batting in this edition of IPL. While at the other end, was one of the most destructive batsman in world cricket in Shane Watson. He was at his destructive best as Rajasthan Royals crushed the two-time champions. These two batted brilliantly to take the Royals home. Rahane was unbeaten on 76 and was declared the Man Of the Match for his innings.That gave the Royals their 5th win on the trot. 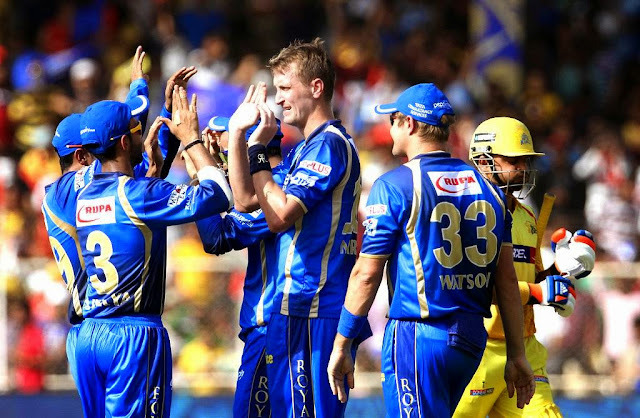 Rajasthan Royals defeat Chennai Super Kings.